Gastroprotective Effect of N-Butanol Fraction of Nigella sativa (L.) Seed Extract on Nsaid-induced Gastric Mucosal Ulceration and Secretions. Saleh, M.I.A., Mabrouk, M.A., Mohammed, A., Isa., A.I., Alhassan, A.W. 1. Department of Human Physiology, Faculty of Medicine, Ahmadu Bello University, Zaria, Nigeria. 1. Department of Pharmacognosy and Drug Development, Faculty of Pharmaceutical Sciences, Ahmadu Bello University, Zaria, Nigeria. 1. Biotechnology Centre, Misr University for Science and Technology, Cairo, Egypt. Nigella sativahas been used for medicinal purposes for centuries, both as a herb and when the seeds are powdered or pressed into oil in Asia, Middle East and Africa. It has been traditionally used for a variety of conditions and treatments related to respiratory health, stomach, intestinal, kidney, liver, circulatory and immune system support, and for general well-being .This study was aimed at investigating the effect of the n-butanol seed fraction of this plant as it affects gastric mucosal integrity and basal gastric secretions using the indomethacin –induced model. Phytochemical screening revealed the presence of flavonoids, alkaloids,, saponins, glucocinolates amongst others, whereas acute toxicity studies revealed a median lethal dose above 5000mg/kg. The rats were grouped into 6 (n = 5), with the extract fraction administered at 50, 100 and 200mg/kg subcutaneously, followed by pyloric ligation with indomethacin and cimetidine used as the standard drug. For the mucosal integrity study, ulcer and preventive indices were analysed, while volume of gastric juice, titratable acidity,acid output and pepsin concentration were assessed for basal gastric secretions. The three experimental doses of the extract at 50,100 and 200mg/kg showed a dose –dependent decrease in both ulcer and preventive indices. It also showed a significant (p<0.05) decrease in volume of gastric juice, titratable acidity, acid output and pepsin concentration in dose-dependent manner with the three experimental doses administered with the highest reduction at the 200mg/kg dose. The results obtained suggest that this fraction down regulated all those parameters which might be attributed to the presence of the phytoconstituents present in this fraction. Therefore, the extract fraction of this plant possesses gastroprotective and antisecretory effects further explaining the folkloric use of this plant in the therapy of peptic ulcer disease. the gastric ulcer incidences (Klein et al.,2010).In developing countries, usually 50-90% of the populations are infected with Helicobacter pylori, which is the main organism responsible for majority of peptic ulcer cases, and children acquire the infection soon after being weaned. Many natural products and modern synthetic drugs have been used to treat the peptic ulcer disease, but so far a complete cure has not been achieved or discovered, and exploration of new anti-ulcer drugs has remained a field of active research (Bandyopadhyay et al.,2001).Although there are many products in the market for the treatment of gastric ulcers, including antacids, proton-pump inhibitors, anticholinergics and H2-receptor antagonists, most of these drugs produce several adverse reactions,such as hypersensitivity reactions, arrythmias, impotence, gynaecomastia, nephrotoxicity, and haemopoetic changes(Chang and Leung.,2002; Scholl et al.,2005).Development of tolerance and incidence of relapses and side-effects on clinical evaluation make their efficacy arguable, further promoting non-drug compliance to therapy (Santin et al., 2011). In addition, most of these medications are expensive, which further restricts their use (Santin et al., 2010). This has been the basis for the development of new antiulcer drugs, which include herbal drugs (Altinkaynak et al., 2003). Herbs are used in many domains including medicine, nutrition, flavouring, beverages, dyeing, repellants, fragrances and cosmetics (Djeridane et al., 2006). The plant Nigella sativa has been used for medicinal purposes for centuries, both as a herb when pressed into oil in Asia, Middle East and Africa. It has been traditionally used for a variety of conditions and treatments related to respiratory health, stomach, intestinal, kidney, liver, circulatory and immune system support, and for general well-being. The seeds are used as carminative, aromatic, stimulant, diuretic, antihelminthic, galactagogue and diaphoretic(Gupta et al., 2009).The aim of the present study was to evaluate the effect of the n-butanol fraction of this plant seeds on gastric mucosal damage and secretions. Nigella sativadried seeds were obtained during the month of July, 2011 from Sabon-Gari market in Zaria. Botanical identification and authentication was done by Mr. U.A Gallah at the Herbarium section of the Department of Biological Sciences, Ahmadu Bello University, Zaria. A voucher herbarium specimen (No: 101201) was deposited at the herbarium for future references. Nigella sativadried seeds weighing about 2kg were crushed and pounded with pestle and mortar. The powder was extracted with aqueous ethanol (70%) in a Soxhlet Extractor, concentrated using rotaryevaporator at reduced pressure, suspended in methanol and partitioned with n-butanol to obtain the n-butanol (n-BuOH) fraction. The fraction was further concentrated in-vacuo and the residue obtained. The extract yielded about 80% of the residue. The preliminary analysis for the extract was conducted for the presence of flavonoids, alkaloids, saponins, steroids, glycosides, anthraquinones, resins, reducing sugars and other phytochemicals using standard procedures for analysis (Evans, 2002 and Harborne, 2007). dose in which the animal survived multiplied by the lowest lethal dose in which the animal died. Thiopental Sodium (Abbott Laboratories, UK), Phenol Red (BDH Poole, England), Sodium Hydroxide (NaOH) (BDH Poole, England) for the preparation of 0.01N NaOH solution, Phosphate Buffered Saline (PBS),Casein Substrate Solution 1% (w/v) (Sigma-Aldrich, USA), Hydrochloric Acid (HCl) 0.1N(Sigma-Aldrich, USA), Trichloroacetic Acid Solution 6% w/v (Sigma-Aldrich, USA). All other chemicals and reagents were analytical grade. A total of ninety adult male albino Wistar rats were used in this study. The animals were obtained from the Animal House, Faculty of Medicine, El-Kasr el-Ain, Cairo University, Egypt. Their weights ranged from 180 – 240g. They were maintainedunder a similar conditions of humidity, temperature and light/dark cycle respectively and each of the animal was kept in a single individual cage, with wide-meshed galvanized wire bottoms to decrease coprophagy as much as possible. The rats were given access to food and water ad libitum for two weeks to acclimatize, prior to the commencement of the experiment. The rats were treated in accordance to the internationally accepted principles of laboratory animal use and care. At the time of the experiment, all treatments were conducted between 9:00 and 10:00 (GMT+1) h to minimize variations in animal response due to circadian rhythm. The animals were divided into the following groups and subgroups for gastric mucosal damage and gastric secretion studies respectively. Group IA; Normal saline (Negative Control)Five rats received normal saline (1ml/kg/rat S.C). Group IB: Indomethacin-treated (Positive Control) Five rats received indomethacin (20mg/kg S.C) for the study of gastric mucosal damage. .Ten rats for the study of effect of two different doses of cimetidine (50mg and 100mg/kg) S.C, given 30 minutes prior to indomethacin administration on gastric mucosal damage (5 rats for each dose). Group ID: Nigella sativa extract treated Fifteen rats for the study of the effect of n-Butanol (BuOH) fraction, each at three different doses (50, 100 and 200mg/kg S.C),when given 30 minutes prior to indomethacin on gastric mucosal damage (5 rats for each dose). Group IIA: Normal saline (Negative Control) Five rats received normal saline (2 ml/rat S.C). Group IIB: Indomethacin-treated (Positive Control)Five rats received indomethacin (20 mg/kg S.C), followed by pyloric ligation for the study of basal gastric secretion. 100mg/kg S.C on basal gastric secretion (5 rats for each dose). Ten rats for the study of the effect of cimetidine, 50 and 100mg/kg S.C, given 30 mins prior to indomethacin administration on basal gastric secretion (5 rats for each dose).Group IID: Nigella sativa-treated Fifteen rats for the study of the effect of n-Butanol (BuOH) fraction, each at three different doses (50, 100 and 200mg/kg S.C),when given 30 minutes prior to indomethacin on basal gastric secretion (5 rats for each dose). After 48 hours of starvation, the animals were weighed and maintained in their individual cages. Then, indomethacin 20mg/kg was injected subcutaneously and the animals were then deprived of both food and water for 7 h (Urushidani et al., 1979). The animals were later sacrificed by decapitation (Satoh et al., 1983). Their stomachs were opened along the greater curvature, rinsed slowly with running water, then stretched out as much as possible by the use of pins on No.1 Whatman’s filter paper on a ceiling board. The ulcerated areas in each stomach were measured with a transparent (mm) ruler scale, the result of each group were expressed as ulcer index (U.I) in mm of mean ulcer ± standard error of mean (Scepovic and Radmanovic, 1984). The gastric juice was collected according to the technique of Shay et al. (1954) as modified by Levine (1965), where oesophageal ligation was avoided. The animals were fasted for 48 hrs to ensure complete emptying of the stomach, but allowed water ad libitum. Each animal was weighed at the end of the fasting period. Light anaesthesia was sodium thiopental 10 mg/kg intraperitoneal (Juliane et al., 2009), abdomen of each rat was opened via a midline incision and the stomach exteriorated. A pyloric ligature was made using a thread with care to avoid damage to the blood vessels or traction to the stomach. The abdomen was then closed by suture, cleaned thoroughly with distilled water or saline, and the animal was allowed to recover. After 3 h, the rats were sacrificed by decapitation, abdomen of each of the animals were opened. The oesophagus was ligated, and the stomachs removed and washed with distilled water or saline. An opening along the greater curvature was made (Nwafor et al., 2000) and the gastric content drained into a graduated centrifuge tube, the volume noted, then centrifuged at 1,006 x g for 15 minutes. The volume of 3 hours gastric secretion was measured after being subjected to centrifugation at 1,006 x g for 15 mins. Determination of titratable acidity: A given volume of the gastric juice (1ml) was titrated against 0.01N NaOH. An end point of pH 7.0 as determined colorimetrically at 280nm by phenol red was used (Grossman, 1973; Davenport, 1977).The values were calculated as micro-equivalents per litre (Meq/L), which is equal to the number of millitres (ml) of 0.01N NaOH required to neutralize 1ml of gastric juice. Determination of acid output: This was calculated by multiplying the volume (ml) of the gastric juice of each animal by the titritable acidity in that animal. Determination of pepsin concentration: Pepsin concentration which is the major factor involved in the proteolytic activity of gastric secretion was determined in terms of the amount of protease enzymes produced after incubation of the substrate for 30 minutes with pepsin. It was determined by the spectrophotometric method devised by Jongensen (1954) and Hawk et al. (1960). All data were expressed as Mean ± S.E.M (standard error of the mean) using SPSS Version 20. Statistical evaluation was done by analysis of variance (ANOVA) followed by post-hoc analysis by Duncan and Scheffe. Values of p<0.05 were considered significant (Microcal Software Inc., Northampton, USA). The toxicity studies of the n-butanol seed extract of Nigella sativa in the first phase after being observed for 24hr, the rats did not show any signs and symptoms of toxicity or death. In the second phase, none of the rats produced any toxic symptoms or mortality up to the dose level of 5000mg/kg body weight, hence, they were considered safe for further pharmacological screening. To evaluate the gastroprotective effect of N-butanol fraction of Nigella sativa, the model of acute ulcer induced by a non-steroidal anti-inflammatory compound indomethacin was performed. In this model, it was found that treatment with normal saline (2ml/rat) which was isotonic with the plasma as a control, showed no significant ulcer or lesion index with a preventive index of 97%. The group that received indomethacin 20mg/kg alone produced the highest lesion index when compared with all the treatment groups. There were gastric mucosal congestion, oedema, haemorrhage, lamina epithelial necrosis, leucocytic infilteration, blood vessels congestion with foci of necrotic tissues in the lesions. These results are consistent with previous studies that reported similar histopathological derangements and mucosal oxidative stress effects that involves weakening of gastric mucous, leading to formation of lesions in the gastric epithelium (Cyer, 2000; Chang and Leung, 2002; Ryo et al., 2006; Valcheva-Kuzmanova et al., 2007; El-Moselhy et al., 2009). It was observed that the group that received 50 and 100mg/kg of the standard drug cimetidine alone, showed a significant decrease in gastric lesions (p<0.05) compared to the indomethacin 20mg/kg, cimetidine plus indomethacin group in the ulcer index with preventive indices of 73 and 79%, respectively. This corroborated with the studies of Marivane et al. (2011) who reported a decrease in lesion index on the gastric mucosa of rats treated with the H2-receptor antagonist cimetidine compared to indomethacin. With regard to the effects of three different graded doses of the N-butanol fraction of Nigella sativa, it was found that treatment with the 50, 100 and 200mg/kg significantly reduced the lesion index compared with the control group (p<0.05) in a dose-dependent manner in this indomethacin-induced model. The highest dose of 200mg/kg N-butanol fraction produced the highest preventive index of 96% above that of the standard drug 50 and 100mg/kg cimetidine. A similar finding was reported by Marivane et al. (2011) that reported a significant reduction in lesion index, total injured area and the percentage injured area when extract of Brassica oleracea was used on indomethacin ulcer model. Both Brassica oleracea and Nigella sativa are found to contain some flavonoids, especially quecertin and kacempferol mainly in glycosodic form and these are secondary metabolites that are widely distributed in nature with several biological activities including gastroprotective potentials (Martin et al., 1998). Croton urucurana with high flavonoid content also exhibited same mucosal cytoprotective potentials (Esmeraldino et al., 2005; Alves et al., 2008). The flavonoid content of this fraction had prevented and exerted a protective effect possibly by its inherent ability to scavenge free radicals, inhibit lipid peroxidation, increase mucous and prostaglandin contents of the gastric mucosa (Alanko et al., 1999). Through phytochemical analysis of the fraction of N-butanol, apart from flavonoids, the presence of terpenoids, tannins, cardiac glycosides, steroids, saponins were detected amongst others. To further support and corroborate the possible fractions for the mucosal cytoprotection exhibited by this fraction of N. sativa containing flavonoids are the studies by Alcaraz and Hoult, 1985 that flavonoids increase mucosal prostaglandin content, inhibit histidine decarboxylase thereby decreasing histamine secretion (Bromer and Landry, 1985). The presence of saponins in the fractions of N. sativa to improve on mucosal integrity has been reported in several other studies where plants containing saponins have been shown to possess antiulcer activity in several experimental ulcer models. Among these, saponins isolated from the rhizome of Panax japonicus and the fruit of Kochia scoparia (which contain approximately 20% of saponins) have been demonstrated to possess gastroprotective properties (Matsuda et al., 2003) in conformity with this study. The protective activities of all these saponins are not due to inhibition of gastric acid secretion, but probably due to activation of mucous membrane protective factors (Borreli and Izzo, 2000). Moreover, several plants containing high amount of saponins have been shown to possess antiulcer activity in several experimental bioassays, probably acting as an activator of mucus membrane stabilizing factors (Morikawa et al., 2006). Similarly, presence of tannins, terpenoids in N. sativa fractions further validate the cytoprotective property in the gastric mucosa observed in our study as reported by Al-Rehaily et al. (2002), where several saponins, tannins, terpenoids were found to possess gastroprotective properties. Additionally, Terpenoids are a widespread class of secondary compounds with several pharmacological activities, including anti-inflammatory and antiulcer activities (Arrietta et al., 2003). Plant extracts of Eleagnus angutifolia, Hibiscus esculentus, Papaver rhoeas, Phlomis grandiflora, Rosa canina all with a high flavonoid and saponin contents as reported by Ilhan et al. (2003) showed potent in vivo gastroprotective activity similar to that of Nigella sativa. The interference of the N-butanol fraction of the extract using same model was also evaluated on parameters of basal gastric secretion. This method is an important procedure that reveals the possible changes of gastric secretory physiological parameters relating to volume of gastric secretion, titratable acidity, acid output relating to pH and the most important proteolytic enzyme in the stomach pepsin. The findings suggest that this fraction interfered with these major basal secretory indices of gastric juice. Considering that the volume of gastric juice which is mainly acidic encompasses mucus, hydrochloric acid, pepsinogen, bicarbonates, intrinsic factor and protein plays a vital role in the aetiopathogenesis of gastric mucosal integrity, it is plausible to consider this fraction as a putative cytoprotective agent. This assumption was made based on the observation that the different quantities or volume of gastric juice obtained in this study showed a general inhibitory pattern with regard to its production in the stomach in this fraction evaluated. There was a significant reduction in the volume of gastric juice at the 100 and 200mg/kg extract treated groups when compared with the control. These results are in agreement with the studies of Muriel et al., (2008), who reported a significant decrease in volume of gastric juice on a similar ulcer model after using Green propolis. With regard to the titratable acidity, there was no significant difference in all the three doses of N-butanol evaluated when compared with the control. Acid output significantly decreased in a dose related manner when compared with control. This decrease in stomach acidity facilitated the healing of gastric ulcers, because exposing the mucosa to high concentrations of acid favours mucosal epithelial damage (Laine et al., 2008). Contact between stomach acid and the mast cells of the submucosa and lamina propria causes mast cell degranulation and the release of histamine, which stimulates hydrochloric acid secretion by parietal cells and produces inflammation and acute oedema at the site of contact (Rodrigues et al., 2008). Overall, concentration of hydrogen ions in the gastric juice decreases reflective of high pH, further aggravating the aggressive factors (Lullmann et al., 2000). Consistently, hyperacidity is known to result due to uncontrolled hypersecretion of hydrochloric acid from parietal cells of gastric mucosa through the proton pump H+-K+ ATPase (Kishor et al., 2007). 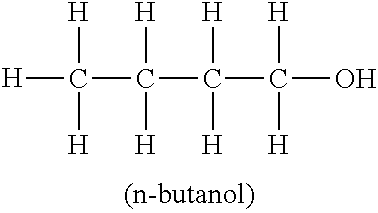 The results of 50mg/kg N-butanol was insignificant. Proteolytic activity as pepsin concentration significantly decreases (p<0.05) in a dose-dependent manner compared to control. A similar finding was reported by Halter et al. (1988) and Hatazawa et al. (2006). In all the cimetidine treated groups, the volume of gastric juice, titratable acidity and pepsin concentration all significantly reduced compared to control. Gastric acid decimation by cimetidine has been attributed to its ability to antagonize the binding of histamine to the H2 receptor on the parietal cell membrane (Banji et al., 2010).The reported results have validated the folkloric use of N. sativa in the therapy of peptic ulcer disease. N. sativa offers protection against NSAIDs-induced gastric ulceration and down-regulate basal acid secretions to promote mucosal cytoprotection. The presence of phytoconstituents in this medicinal plant might be responsible for those pharmacological actions. In this context, extracts and active principles from plants could serve as leads for the development of new drugs. Therefore, this plant specie(s) have a great potential to be used as a gastroprotective agent in combination with others or alone.